Dr. James W. Dwyer is a distinguished orthopedic surgeon, board-certified by the American Board of Orthopedic Surgery, and a Fellow of the American Academy of Orthopedic Surgeons. He is dedicated to the well-being of his patients and the advancement of orthopedic spine surgery, at large. Dr. Dwyer prides himself as being a caring and competent surgeon, and although proud of his accomplishments and credentials, he holds the well-being of his patients in the highest regard. Dr. Dwyer received his undergraduate degree from Rutgers University, with honors. He completed medical training in general and orthopedic surgery at the University of Medicine and Dentistry of New Jersey (UMDNJ), and subsequently performed four years of intensive orthopedic residency medicine at UMDNJ-affiliated hospitals. 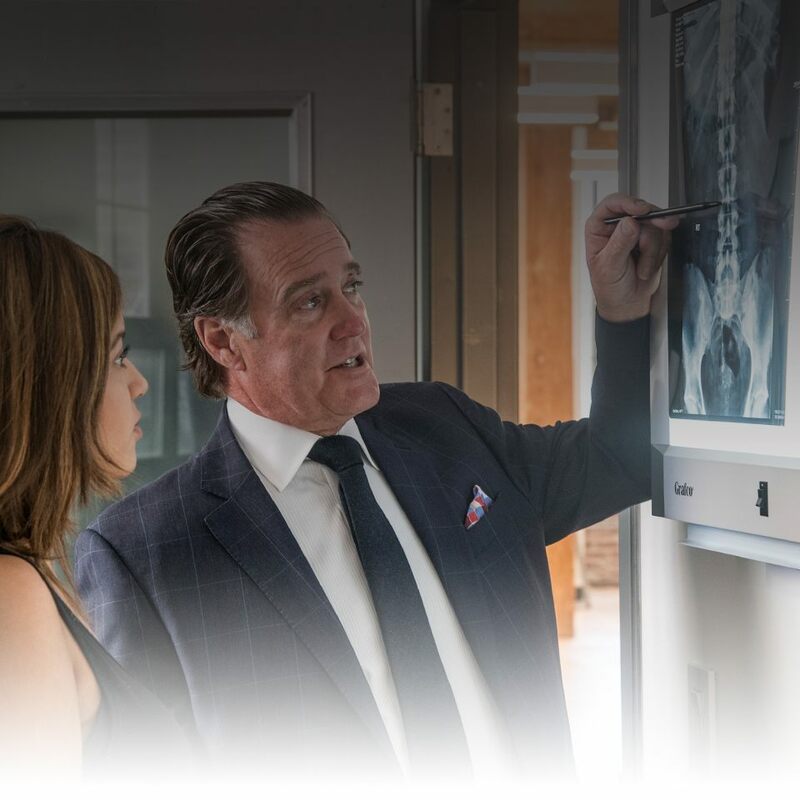 He completed a prestigious spine surgery fellowship at St. Mary’s Spine Center and Seton Medical Center in San Francisco, and has partnered with the Spine Care Medical Group, San Francisco Spine Institute, Stanford University Hospital, and Kaiser Hospital Oakland throughout his early career. Additionally, Dr. Dwyer completed fellowship research under the expert leadership of renowned spine surgeon, Dr. Arthur White. Dr. Dwyer’s specialty lies in degenerative and traumatic orthopedic spinal disorders. He has served as the director of spine surgery at Jersey City Medical Center, assistant clinical professor of orthopedic surgery at New Jersey Medical School – UMDNJ, and director of the New Jersey Spine Institute. He is widely sought as a lecturer for surgical residency programs that offer advanced training in spine degeneration and trauma. Dr. Dwyer has also led the Garden State Orthopedic Network as its president. Dr. Dwyer performed the first arthroscopic microdiscectomy in New Jersey, and the first laparoscopically-assisted lumbar interbody fusion. His methods have been widely praised for significantly reducing postoperative pain and overall recovery time. Due to his surgical achievements, the U.S. Food and Drug Administration (FDA) has requested Dr. Dwyer’s participation as it works to establish related protocols. Dr. Dwyer is one of only a few elite surgeons who have received advanced training in artificial disc replacement. He performed the first artificial L4-L5 disc replacement surgery in the state of New Jersey. Dr. Dwyer focuses primarily on relieving patient pain due to spinal degeneration or trauma. He is able to perform a full array of surgical spine treatment modalities, including: diagnostic and therapeutic spine injections, minimally-invasive spine surgery, outpatient laminectomy / discectomies, and reconstructive and trauma surgeries for the cervical and lumbar spine. The International Society for the Study of Lumbar Spine and the North American Spine Society have published peer-reviewed articles by Dr. Dwyer. His research and results on the effects of bone grafting and osteosynthesis have appeared in many prestigious medical journals and publications. He is also the proud author of medical textbook chapters on spine surgery methodology. Dr. Dwyer is a fellow of the American Academy of Orthopedic Surgeons, and a member of the American Medical Association, New Jersey Medical Society, Somerset County Medical Society, New Jersey Spine Society, New Jersey Orthopedic Society, North American Spine Society, International Spinal Injection Society, Alpha Omega Alpha Honor Medical Society, Irish American Orthopedic Society, and the American College of Spine Surgeons. He currently practices medicine at Somerset Medical Center, and offers expert consulting to doctors on staff at Hackettstown Community Hospital.